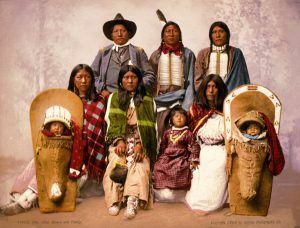 The White River Agency was founded in 1873 for several bands of Ute Indians, who had agreed in a treaty to settle on a reservation there. Five years later Frederick Walker Pitkin, campaigning on a theme of “The Utes Must Go!”, was elected Governor of Colorado. Both Pitkin and other local politicians and settlers made exaggerated claims against the Ute tribe, as they wanted to gain the rich land occupied by them under a treaty made in 1867. 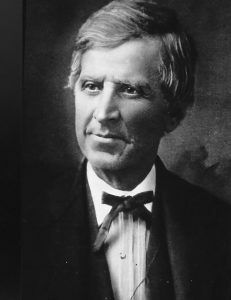 The same year that Pitkin was made the governor, Nathan C. Meeker, founder of the city of Greeley, Colorado, was appointed as Indian agent for the White River Agency. Meeker, who lacked experience with Native Americans, tried to extend policies of religious and farming reforms. The Ute resisted Meeker’s undiplomatic and stubborn efforts to make them farm, raise stock, discontinue their pony racing and hunting forays, and send their children to school. They also resented the settler encroachment on their reservation and the poor management of the Indian Bureau. When Meeker claimed he had been assaulted by a subchief during a petty quarrel, the government sent approximately 150-200 soldiers, led by Major Thomas T. Thornburgh, commander of Fort Steele, Wyoming, to settle the affair. On September 29, 1879, before the soldiers arrived, the Indians attacked the agency, burned the buildings, and killed Meeker and ten of his employees. Meeker’s wife, daughter, and another girl were held as captives for 23 days. In the meantime, the Ute attacked the approaching troops from Fort Steele in what is known as the Battle of Milk Creek, Colorado. In this skirmish, the Ute were defeated, ending the uprising. 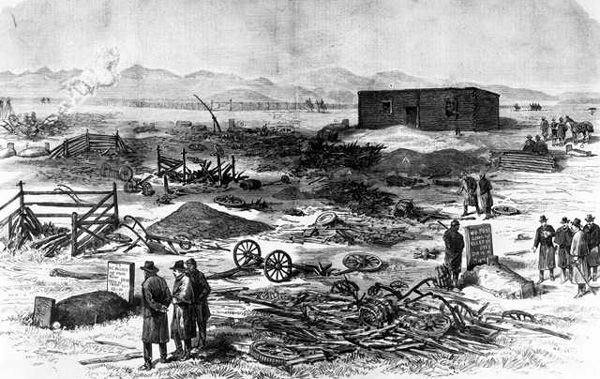 The battle site is located on Colorado Highway 64, about three miles west of Meeker. It is indicated by a wooden marker on the south side of the highway but the battle actually took place in a privately owned meadow on the north side of the White River. A few traces of building foundations reveal the location of the Indian agency. A monument indicates the spot where Meeker died.